Welcome to Rice Lane Primary School! We would like to extend a very warm welcome to parents and children to Rice Lane Primary School. At Rice Lane we aim to provide a happy and caring ethos in which every child is valued and given the opportunity to reach their full potential. We have high academic, social, cultural and behavioural standards and are extremely proud of our children's achievements. 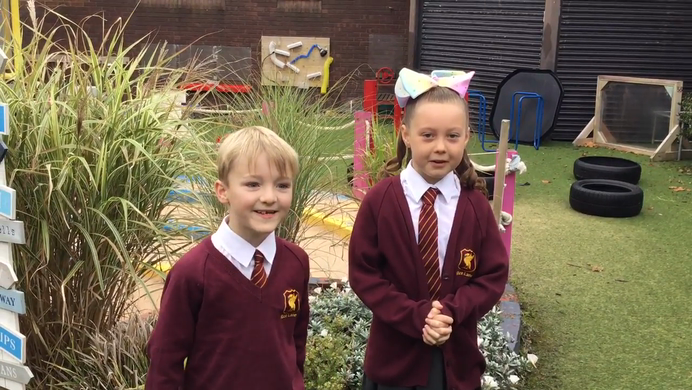 Rice Lane provides an exciting stimulating and caring environment with a culture of respect, where children begin to take responsibility for themselves, our community and the world in which we live. Children develop their self confidence as learners and are encouraged to progress socially, emotionally and spiritually. We promote the involvement of family and community members and our parents play a very important role as co-educators and we encourage close links between home and school. Our mission statement of "Be happy together, Believe together, Achieve together" is a crucial element in enabling each child to make the most of the opportunities provided for them at Rice Lane. The website is intended to introduce you to the life and work of Rice Lane Primary School and aims to keep you informed of events and activities. We hope you feel well informed about life at Rice Lane Primary School. I think Rice Lane Primary School is a fabulous place to come to school. Parents can make a request for a paper copy of any of the information on our school's website. Please contact the school office and we will be happy to help.